April 2014 - Franco Mirabelli Design Inc. 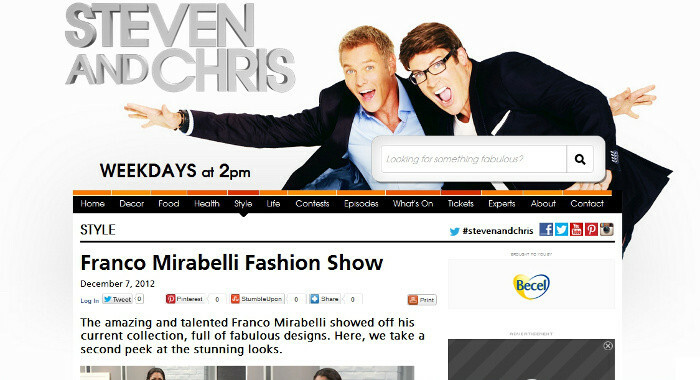 The art of fashion hit the runway with a flourish at Museum London on Saturday (April 12) as Franco Mirabelli joined the panel of top industry professionals..
Franco Mirabelli showed off his collection on the “Steven and Chris” show on CBC. Take a peek at the stunning looks here.